Distribuware Advertising campaign program automatically creates Advertisements Payment Pages to include the newly signed up person with their payment button so that others signing up using his/her/their button can pay the Administration of Distribuware Advertising. Each new person signed up results in this repeated creation of Advertisement Payment Pages. It is a referral program like no other. In this way, everyone receives their own Advertisement Payment Page unique with their Distribuware ID number and Subscription/s IDs in the system’s database. Advertisers advertise their own goods and services. Distributors advertise the advertisers’ goods and services. They all get refunded many times over with the portion of the fees payable to join. The first level fee is Bronze. (See the various levels) This first level is US $150.00. The payment system is designed in such a way, that both advertisers and distributors, providing they refer the program, get refunded with 66.67% of the fee. In this case $100.00. Distribuware retains 33.33% or $50.00 for administration costs of the Distribuware Network Systems facility. A fair deal we would say. There is no other referral program like it. Referral fees are paid monthly. Referral fees are the payments received by advertisers and distributors from newly signed up members who signed up using the referrer’s Advertisement Payment Page. Payments are made monthly through the online payment systems Distribuware uses. This includes the use of reloadable virtual and/or plastic prepaid debit cards provided by the payment system. Fees are paid directly to Distribuware’s bank Account by new participants as they sign up choosing an advertiser or distributor of their choice. Advertisers and Distributors must promote, advertise and convince others to join the Distribuware Network Systems to be refunded their 66.67% of the fees. All fees are firstly collected by Distribuware and then the referral portion of fees are paid monthly through our accounting system. Distribuware is not a click to get paid or provide commissions to affiliates who get paid only if others who they refer buy from the advertisers. Rather advertisers and distributors are refunded by referring their Advertisement Payment Pages with or without anyone buying from them, once the referee completely signs up on Distribuware, and having paid the applicable fees. Members then become referrers who also advertise and refer their Advertisement Payment Pages to others. In this way, all participants become empowered by the system of Distribuware to promote and at the same time advertise their goods and services and get paid while doing so. There are no up line or downline commissions paid in Distribuware. Each member stands an equal chance of earning extra income depending on how many successful referrals are made. No one is greater than anyone else in Distribuware. It is a pure referral system based on how much work each member puts in. Those who really work receive the most. In this system, everyone becomes a referrer simultaneously, and therefore has something to refer. This is our advertising campaign method and philosophy for billions of Internet users who at present simply do all the spending and are not empowered by those who sell to be in a receiving position. Everyone who buys something can become a referrer of the products and services they like and buy. Customers are one of the best referrers of advertisers. Customers will get the best deals from such member advertisers and should pass that information on to others. It is all up to the advertisers who should give the best discounts and other benefits to their customers and friends of customers. Instead of giving affiliates who don’t shop at advertisers, the Distribuware system encourages advertisers to give the best discounts above the discounts already given by them to others. If an advertiser already gives to the public, a discount of a given amount, the discount given to a member of Distribuware should be higher. Satisfied customers of Advertiser members of Distribuware will then refer the stores or services to others. The higher discounts and gift benefits, the better the advertiser succeeds in Distribuware. This entire process is referred to as Distribuware Advertising. Therefore, everyone becomes a referrer who gets paid to advertise. Even the advertiser’s vendors can become referrers under this system. So that member advertisers also gain from their vendors’ discounts and benefits under this system. In fact, anyone who interacts with the advertiser can benefit from this system. Everyone gains from exceptional discounts and other benefits given by all advertisers. Everyone gains from referring others. Everyone is paid monthly through our selected payment facilities once they are fully signed up using our chosen online payment system. How Distribuware Advertises the Advertisers’ ads and sites. When Internet Merchants decide to become advertisers on Distribuware we help to advertise their products and services via our Catalogue Pages across the Internet. Those Catalogue pages show their ads placed on our Distribuware Network Systems. The name of the advertiser member along with their Subscription ID number are also shown. Those ads offered by the Advertiser describes the various percentage discounts and other benefits given by the advertiser on signing up into the system. Members of Distribuware will be taken directly to the site of the advertiser. Nonmembers will be required to sign up to become a member of Distribuware to gain those benefits. When a member clicks on an advertiser’s ad, the advertiser receives an email by the member with the member’s Distribuware ID number, and the two members can then communicate. 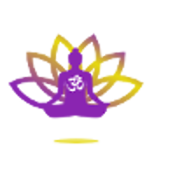 The advertiser will be given a Distribuware logo image which can be placed on their sites which links back to his/her/their Advertisement Payment Page/s. The Advertiser advertises his/her/their ads in this way, while the possibility of being paid for referral fees while advertising their goods and services to the public. In this way, the Advertiser can gain in two ways. In addition to Advertisers Catalogue Pages, Distribuware list all members Advertisement Payment Pages on search engines across the globe and on social media sites. Registered members can then shop at all advertisers’ store front sites, thus gaining the benefits offered by advertisers. If the prospect Internet user signs up using an advertiser’s Advertisement Payment Page, then that Internet user can become either a Distributor of that Advertiser or an Advertiser. The new member receives his /her/their own Advertisement Payment Page with ads of their own providing they become advertisers. If not, they become distributors helping the advertisers to promote their goods and services by promoting their Advertisement Payment Page/s. Unique Advertisement Payment Pages for each member. On sign up, the Advertisement Payment Page will change to the new members’ credentials. The payment button will be the new distributor or advertiser to receive payments from others as they come into Distribuware Network Systems. It is a get paid again and again network system, each time someone signs up using an advertiser’s or distributor’s Advertisement Payment Page. The result of this system concept is that the Advertiser’s selling website is advertised repeatedly across the globe. There is no end to this referral advertising and everyone pays once into the system. 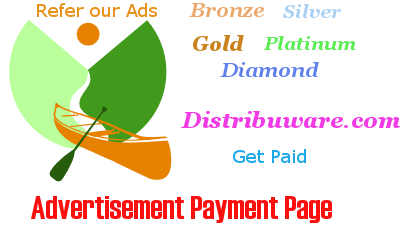 One can have many Advertisement Payment Pages, but that is a choice that one can make as well. Each time one signs up choosing someone else’s Advertisement Payment page, one pays the Administration of Distribuware and by extension the referrer member receives referral fees. There are no refunds of fees paid either to Advertisers or Distributors by the Administration of Distribuware once someone joins and has been refunded at least twice. Please do not join if you do not quite understand this unique program. Members do not have to refer their Advertisement Payment Pages to receive exceptional discounts and other benefits which are offered by advertisers. They are automatically entitled to all member Advertisers discounts. However, if they wish to recover their cost of membership outlay, they must refer their unique Advertisement Payment Page so that others can join Distribuware through referral efforts. Those are the only refunds made by Distribuware. Service to Visitors of Distribuware. We assist visitors in giving them choices of great products and services given by member advertisers. Visitors can search the Catalogue pages and see the various ads by categories of ads. When a visitor becomes a member of Distribuware, they can then shop at any of our member advertisers and gain the discounts and benefits to Distribuware members. Visitors can then become either Advertisers or Distributors of Advertisers. Anyone can look up and view the discounts and benefits offered by Advertisers. When a person is satisfied, he/she/they could now decide to sign up using a chosen Advertiser’s or Distributor’s Advertisement Payment Page. Distributors are not listed in the Advertisers’ catalogue pages because their Advertisements Payment Pages already contains the Advertisers’ advertisements. However, all members are listed on a “List of Member Pages” which is advertised by Distribuware.